S One Holding-Craft Attitude. 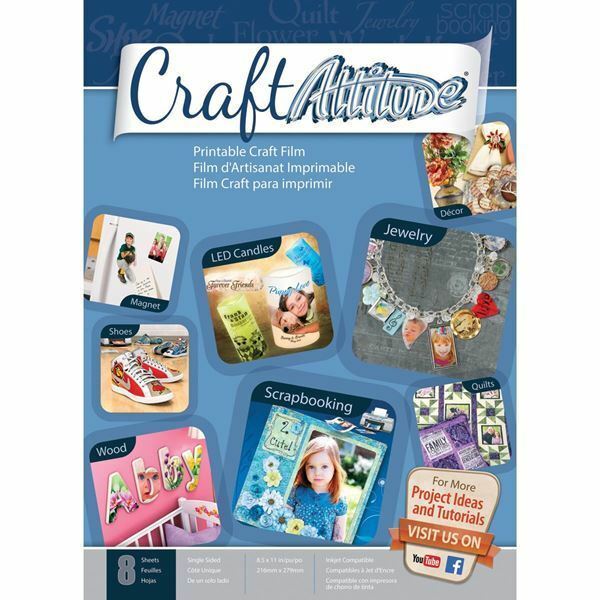 A printable craft film perfect for magnets, shoes, wood, scrapbooking, jewelry, quilting and much more! It is a fun and easy way to personalize any item. Attach the images to virtually any surface using heat and pressure, a glue stick or other adhesive. This package contains eight 11x8-1/2 inch printable craft film sheets. Made in USA.